I enjoy buying and listening to music. It’s one of the constant pleasures in my life. It about changing my mood, illustrating phases in my life and stretching my mind. It’s not often, however, that I feel as elated with a new find as this. I didn’t know music could do what this composer does with normal instruments. Fred Frith modifies his instruments with objects, plays ordinary guitars in strange ways. But what Abrahamson does is entirely different. It’s all in the composition, I suppose. I have been lifted out of the ordinary by this. Several occurances have met to enable this find. My new DAB radio means I play BBC Radio 3 most days. The car has a bluetooth and DAB stereo system which works well with my phone. Then, there’s the BBC iPlayer app. All that has led to this almost magical find, a bright lights shines out in my collection. All this effusive talk and the CD hasn’t even arrived yet. The online shop allows immediate download once you have made your selection and purchase. So here I am, familiarising myself with a new record that is still in the post. 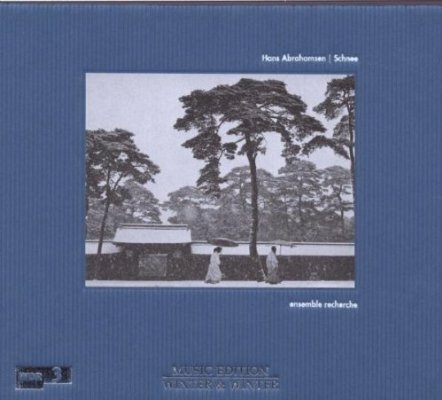 This entry was posted in Music and tagged avant garde, contemporary classical, Hans Abrahamson:, new music. Bookmark the permalink.